Mahindra 2 Wheelers India has launched two new bikes which are Mahindra Stallio and Mahindra Mojo. The bike were unveiled by Mr. Anand Mahindra and Aamir Khan (who is now the brand ambassador for the company). Mahindra Mojo is a 300cc bike while stallio is a 110cc bike. Both the Mojo and Stallio come with a 4-year or 80,000 kms warranty. Mahindra Mojo will be on sale from January 2011, only prototype has been shown at the launch ceremony of Mahindra Bikes. 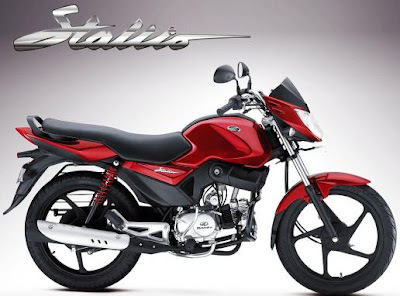 Mahindra Stallio is a entry level bike and comes with Mahindras advance technology and latest eye catching features. The bike which has sporty look and with displacement of 110cc, 4 stroke, air cooled, SI engine which produces maximum power of 7 bhp at 7500 rpm wioth maximum torque of 8 Nm at 5500 rpm.